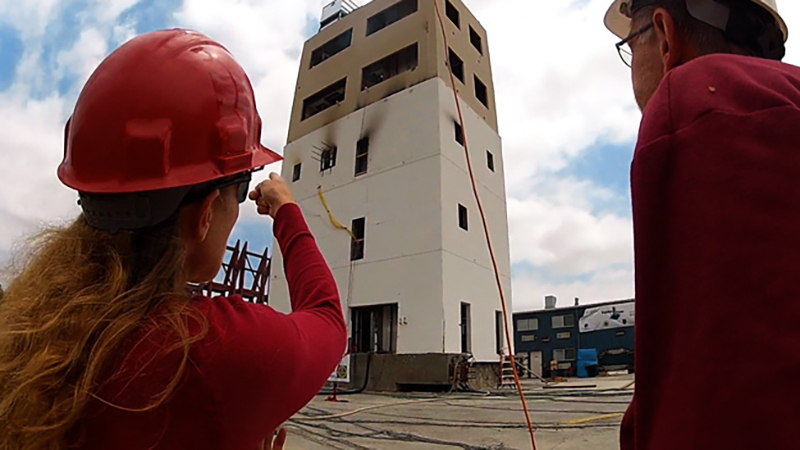 For a few months last spring, things were really rumbling at UC San Diego’s Engelkirk Structural Engineering Center, where researchers subjected a five-story mockup of a hospital to the largest earthquake test of its kind. 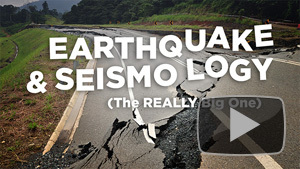 “Building It Better: Earthquake-resilient Hospitals for the Future,” a UCSD-TV and California Seismic Safety Commission documentary two years in the making, takes you behind the scenes of these dramatic earthquake tests as researchers evaluate their impact on the many complex systems within hospital buildings, including surgical suites, patient rooms and more. The program also reviews the history of seismic safety for California’s hospital infrastructure, and what is being done to secure its future. Phenomenal is the only way to describe this project. I’ve recorded and produced many programs on tests at Englekirk – from a massive concrete parking structure to an 80′ wind turbine to metal frame buildings and more – but I’ve never witnessed anything like this, and honestly, hope I (and we) never experience a quake as intense, or even half as intense, as this test provided. While we did our best to capture this intensity, being present at the moment of testing brought with it the visceral uncertainty of whether an entire five-story building will collapse before you. This not only induces an instant of panic, but makes you think more than twice about how prepared we all are for such an event – and how truly outstanding and critically important the work of the California Seismic Safety Commission and the many researchers and partners involved in this test is to our common well–being. After seeing this project closely from the inside, I am certain that too many of us are unprepared and have no idea just how devastating the “big one” – which will happen – will be. But there are people working together to make sure that when we need it most, our critical infrastructure will be ready, and the data, information and lessons from this project are making and will continue to make immense contributions to that goal.